Your hydraulic system has gone down, and everything has come to a grinding halt. You need the system up and running as soon as possible, which starts with finding the source of the problem. Modern hydraulic systems can be extremely complex, and the problem could be caused by anything from a valve that is trapped open, a cylinder that just doesn’t seem to be working, or a hydraulic motor whose bearings have simply given out. Troubleshooting your hydraulic systems is always challenging, but there are some hints and tips that can expedite the process and help get your system functioning again. Is the problem a leak? If so, is hydraulic fluid or lubricant leaking? Where is the leak occurring? Was there a significant pressure change noticed in the system? Was it a pressure loss or pressure spike? Approximately where in the system did it occur? Is a component, such as a pump or motor, making an abnormal sound or vibrating? Did the system experience a loss of speed? Approximately where did it occur? How often does the problem happen? Was it a one-time occurrence, or does it happen intermittently? Keep in mind that the problem is not the same as the cause. For example, you may discover a leak near the pump. The cause could be something as simple as a leaking hydraulic hose, or it could be a failed seal in the pump. However, you can’t determine the cause until you have figured out what the problem is first. Was the equipment running under non-standard conditions? Were there any noises that accompanied the failure? Was there a loss of power or torque involved when the failure happened? Had the machine just been started up, or had it been running for awhile when the problem occurred? Were there any system error messages associated with the problem? Had there been any unusual pressure or temperature spikes? This type of information is invaluable for a technician who is troubleshooting a hydraulic problem. In fact, the smallest of details can expedite the troubleshooting process for an experienced hydraulic technician. In all likelihood, there were changes made to the system when the problem showed up or the system failed. These changes were made in an attempt to get the system running again, and this information is also important when troubleshooting your hydraulic systems. Typical changes can include pressure adjustments, electrical adjustments, or part replacements. If parts were changed out, it is important to make sure that those were the correct parts for the system. Too many times a substitute part is used when an exact replacement cannot be obtained quickly, and substitute parts may not perform as expected. Other key areas to check include the condition of filters and breathers, fluid levels, and pump/motor couplings. A quick visual inspection for obvious leaks is also helpful, as is a simple check of the hydraulic hoses and hydraulic fittings. 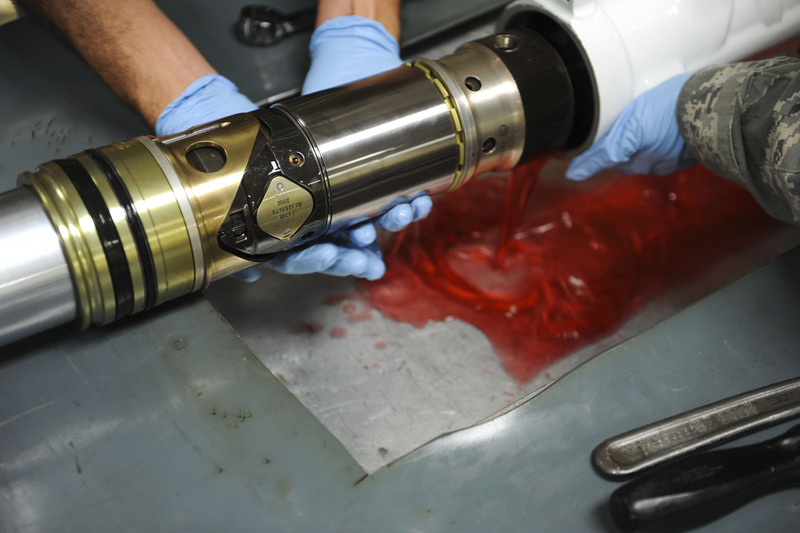 Recent oil analysis results can be very helpful in allowing the technician to personally verify the cleanliness level of the hydraulic fluid and lubricants. Manufacturer specifications can provide helpful information such as design pressures and flow rates, not to mention information about the types of replacement parts and filters that are needed. 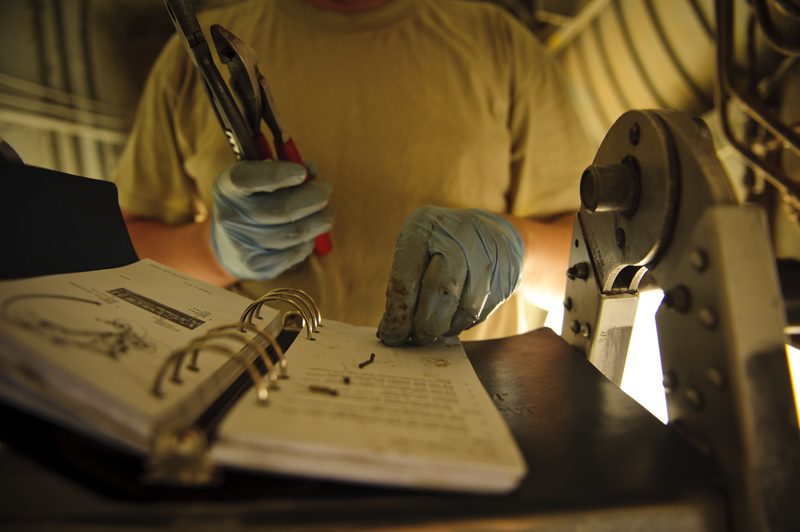 Some component manuals, such as for hydraulic motors or pumps, may include troubleshooting tables or charts. Another item to have on hand before trying to troubleshoot a hydraulic system is its hydraulic schematic. Studying the hydraulic schematic, which means not just a cursory glance but rather reading and tracing it, can often help a good technician identify the problem without having to pull any parts. It also saves time. A hydraulic schematic shows the relationship between the various parts and components of a hydraulic system. Pumps, motors, valves, manifolds, accumulators, tanks, and other parts are included on the schematic by way of symbols. Lines represent connections, which are typically piping or flexible hydraulic lines. There are valves and manifolds that may be located in places that are extremely difficult and time consuming to reach. Studying a schematic can help you decide whether or not those components even need to be accessed in order to track down the problem. Something else to keep in mind is that hydraulic oil (like most people) will always take the path of least resistance. If there is a problem with pressure, then there is a good chance that the hydraulic oil is bypassing in the hydraulic system. System pressures are very important and need to be adjusted so that they are set properly. Pay special attention to pressure settings for components such as the relief valves, pressure-control valves, and the pump compensators. Keep in mind that if a valve is stuck open, it can cause all kinds of trouble for the system, including overheating. After the pressures have been checked and adjusted accordingly, use a temperature gun or infrared camera to perform temperature checks on the system. This can help verify that there is no bypassing taking place, and recording these temperatures once the system is functioning normally can help establish a baseline for reference if later problems arise. Pay special attention to the case drain lines and suction lines – excessive generation of heat is a warning sign that something is off with the system. 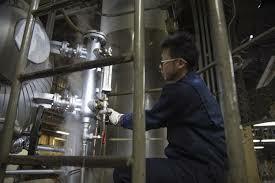 Other important items to check are the accumulators. Accumulators should be pre-charged with dry nitrogen and the pre-charge pressure should be checked for accumulators used for shock, used to maintain pressure, or that do not cycle regularly. Also note that when the accumulators are cycling frequently, the bottom part of the shell should be warmer than the top part. 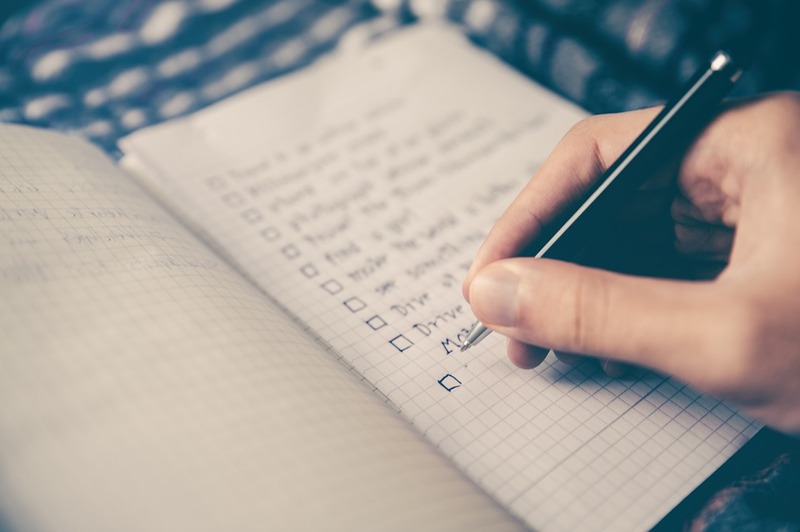 When something does go wrong in the future, a quick comparison to the last reliability checklist can aid the troubleshooting technician in tracking down the source of the problem far more quickly. 1. Pressurized hydraulic fluid will always take the path of least resistance. 2. Heat is generated when hydraulic fluid experiences a pressure drop without doing any useful work. 3. Hydraulic pumps do not create pressure, they generate flow. 4. Pressure is created when there is a resistance to flow. 5. Actuator speed is determined by flow, while actuator force is determined by pressure. Effectively troubleshooting your hydraulic systems takes a combination of skill and experience; however, taking time to correctly identify the problem, collecting the right information, studying the schematic, and asking plenty of questions can expedite the process. The more proficiency the troubleshooter has, the faster the problem will be resolved and the less likely it is to happen again. 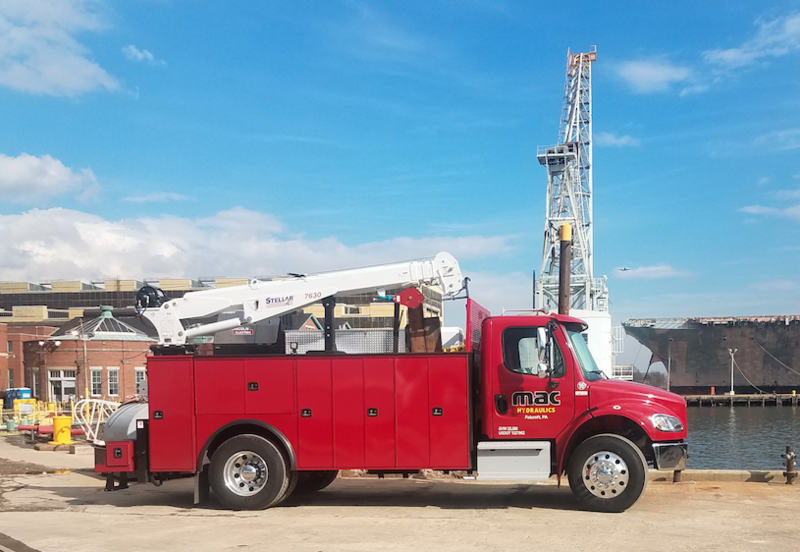 At MAC Hydraulics, our technicians have the skill, experience, and knowledge needed to quickly identify any problems with your hydraulic system and make the necessary repairs onsite. We provide efficient solutions for just about any industry that depends on hydraulic equipment, from manufacturing to marine hydraulics to construction equipment. Cylinder repair, hose replacement, lubrication, pumps, motors, valves, filters, accumulators – our hydraulics team can handle it all. Whether it is a sudden break down that needs immediate attention or regular maintenance to keep your equipment running smoothly, we can help. Contact MAC Hydraulics today to find out what services we can offer you and to learn about our customized maintenance plans that save you both time and money.